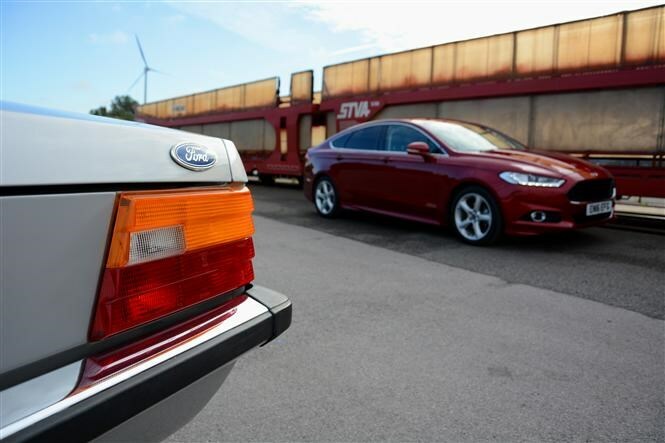 Three months and over 5,300 miles of plying Britain’s highways and byways in our long-term Ford Mondeo has drawn to a close, fittingly down at the Blue Oval’s historic Dagenham plant. 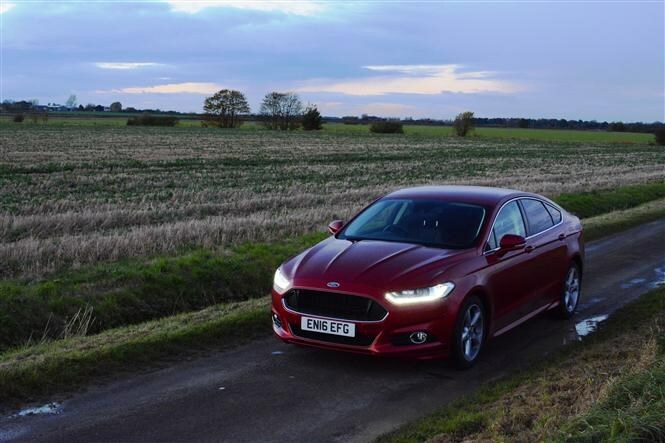 That three-hour schlep down to Essex from Lincolnshire amplified the Mondeo’s key attraction in the large family car segment – it’s comfortable. Very comfortable. The primary ingredient in that satisfyingly serene recipe is our Titanium trim’s X Pack – particularly the leather upholstery and 10-way electrically adjustable front seats. Heated, naturally. Not that they got much use until the chillier mornings of winter arrived. In order to maintain a tangible distinction between Titanium and pricier Vignale versions, our model’s leather didn’t feel as opulent as we’d hoped; the hide wrapping the steering wheel felt disappointingly plasticky. 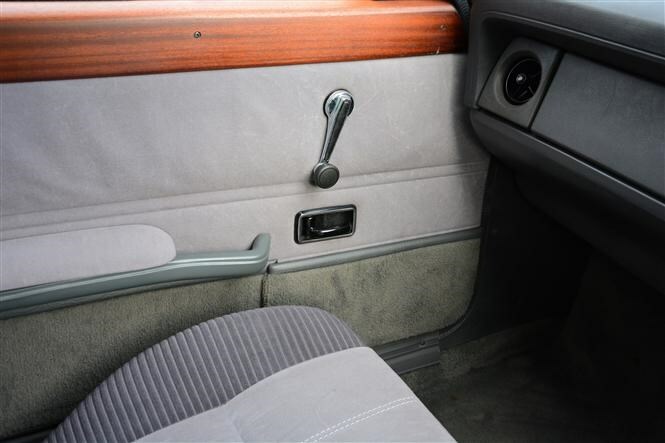 Nevertheless, it was easy to get into a relaxed-yet-supportive driving position and, when you’ve finished your journey, the seat automatically whirrs back when the ignition is switched off to make your exit all the more easy. Eighteen-inch alloy wheels in each corner don’t blight the ride quality either, although it could be improved further if only Ford offered UK buyers the option of adaptive suspension. 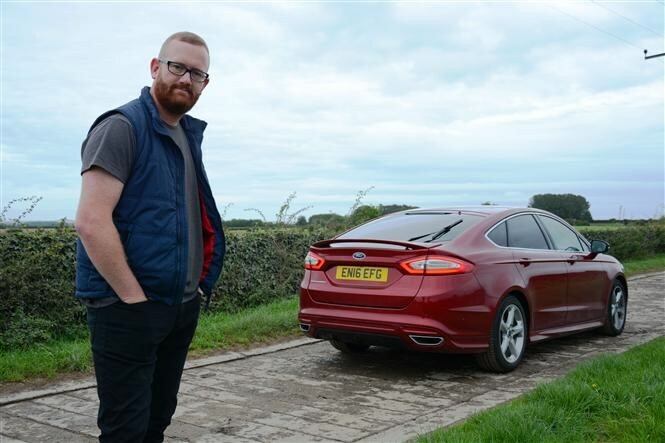 With 180hp on tap from the 2.0-litre TDCi diesel, there was promise of performance and economy, but just days into our time with the Mondeo we discovered that they were mutually exclusive, at least in terms of Ford’s official claims. According to the brochure, the 0-62mph acceleration test can be dispatched in just 8.3 seconds, but it never felt that brisk. Sure, the power – and 400Nm of torque – is there, but you really have to work the engine into the upper echelons of its rev range to extract the most from it. 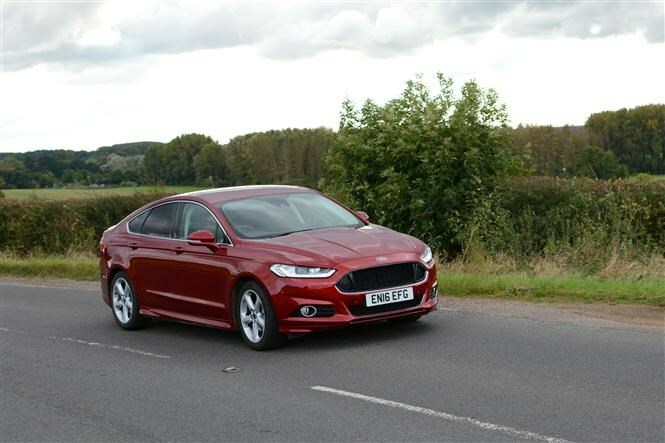 By this point the motor’s rather noisy, and with no double-glazed acoustic glass or noise-cancelling technology to dampen the din, it feels at odds with the Mondeo’s otherwise relaxed nature. 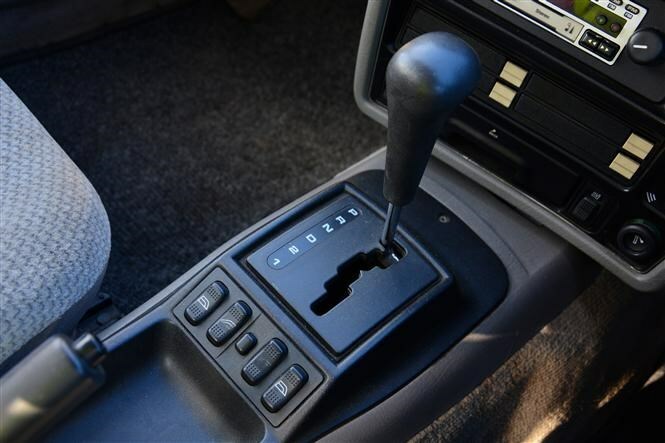 Although the six-speed manual gearbox has a pleasing and positive shift-action, I can’t help but think Ford’s PowerShift twin-clutch automatic transmission would have made more sense here, even if it had dented overall fuel efficiency. And therein lies a further gripe. We never expected to match the official claim of 64.2mpg but we hoped to be somewhere in the mid-50s. It wasn’t to be: instead we averaged 44.7mpg overall, a significant 30% shortfall. 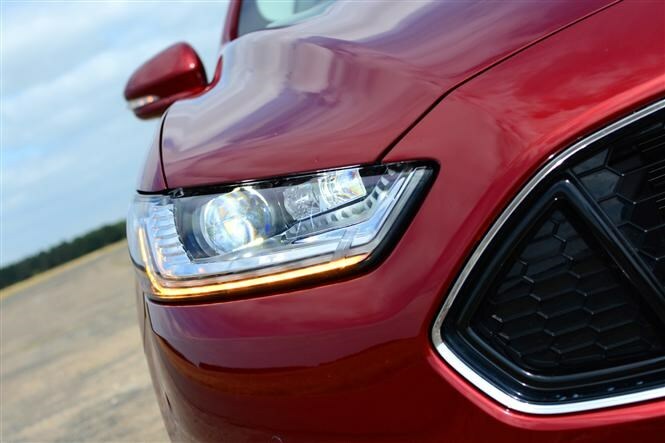 As those darker, colder evenings drew in, another aspect of the Mondeo Titanium’s X Pack came into their own: the directional LED headlamps. The more cars I drive with similar systems, the more I bang on about them with rampant enthusiasm, and the Mondeo’s were no different. They provide a long and broad beam pattern, the projection swaying left and right in unison with the steering. 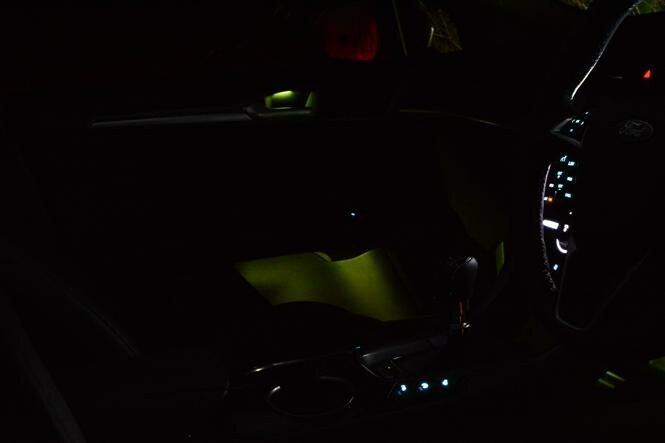 Returning to halogen lights – or even xenons for that matter – feels like a retrograde step for night-time driving. Main beam is actioned automatically, but it’s just a simple on-off affair, rather than a complex (and more expensive) matrix type that shuts down sections of more intense light to enable maximum illumination to remain shining brightly where it won’t dazzle other drivers. Scrolling indicators? I’m cool with them but I understand why some find them as naff as wearing Crocs. 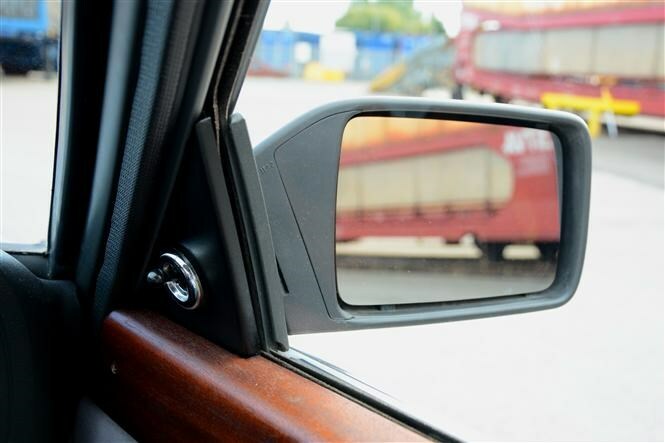 More noteworthy is that when I’ve been followed by friends and relatives, they frequently commented on how small the rear indicators and brake lights are, occupying the outer white sections of the tail lamps. Oh and that sporty bodykit? I never did warm to it. The best family hatch you can buy? 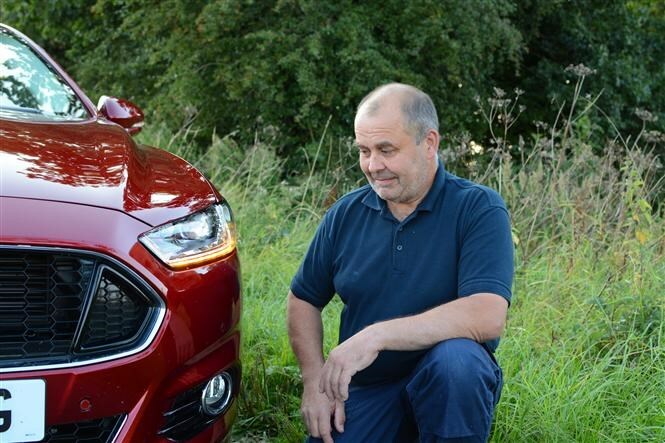 Costing £28,245 with the 180hp diesel engine in Titanium trim with X Pack, at almost 7,000 miles it would now be advertised around the £21,597 mark at a Ford retailer, a loss of 23.6% of its value. 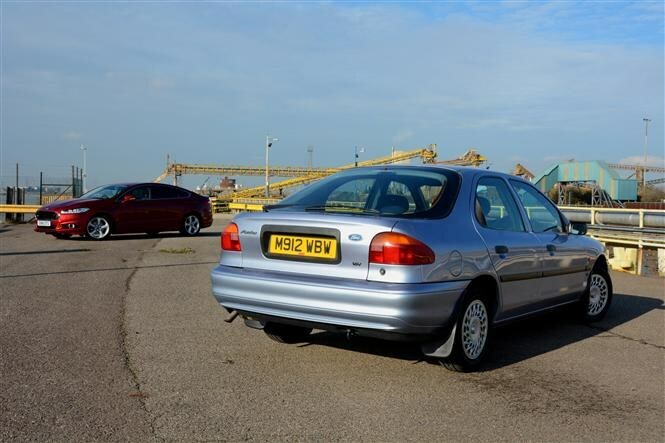 If you plan on keeping a Mondeo in this guise for three years and 30,000 miles, it’ll only retain around 39% of its original price when new at £10,850. Would we buy one? Overall as a family car package, the Ford Mondeo isn’t quite as accomplished, roomy or special-feeling as the Volkswagen Passat, but the fact you can’t buy the VW with a hatchback works in the Ford’s favour. In fact, hatchbacks of this size are now few and far between, with the choice effectively limited to the (Passat-based) Skoda Superb and the new Vauxhall Insignia Grand Sport. 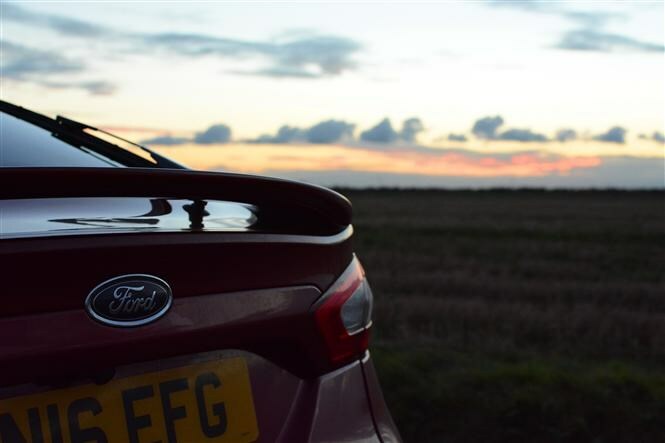 The Ford’s no longer the default choice in this segment – but it nevertheless remains a strong contender. So what did we pick up at Dagenham to replace the Mondeo in the Parkers fleet? Look carefully and you’ll spot the Electric Spice (that’s metallic gold to you and I) Ford Edge making an appearance in the picture above. Check back to find out how we get on running the big SUV for a month. “Without the past, we wouldn’t be living ‘this’ present,” was a gem I frequently overheard a History-teaching former colleague reinforcing to her students. While stuck in dawdling traffic on the A1 one night, that line popped into my head, I began contemplating the Ford Mondeo I was piloting. Specifically, its lineage back via the Sierra, Cortina, Consul Classic and Prefect. Yes, I really am that boring in my own company. Nevertheless, the next day I put a call in to the man that can at the Ford press office. It was so I could arrange to go to the Blue Oval’s spiritual home of Dagenham to sample some of our long-termer’s more recent forefathers. You’re not just looking at any Cortina, here. 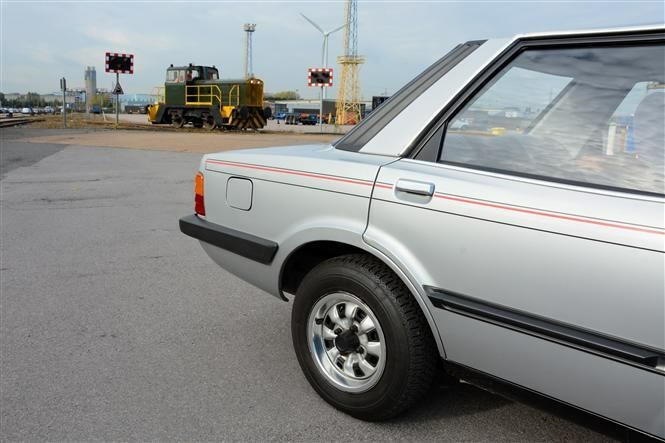 No, this is the very last fifth-generation (okay, okay Mk5 or Cortina 80) model to roll out of the factory in 1982. With the Sierra already teased in Probe III concept car form in 1981, Ford needed to maintian Cortina sales to the end. Never one to miss a marketing trick, it supplemented the regular range of L-, GL- and Ghia-badged models with the Cortina Crusader, a true run-out special. These limited edition Crusaders really stood out from their more humble brethren – especially those with the more expensive two-tone paint-job. But even this silver monochrome version looks the part with its unique red and grey coachlines and 13-inch sports-style steel wheels, with chromed embellishers around the rims. 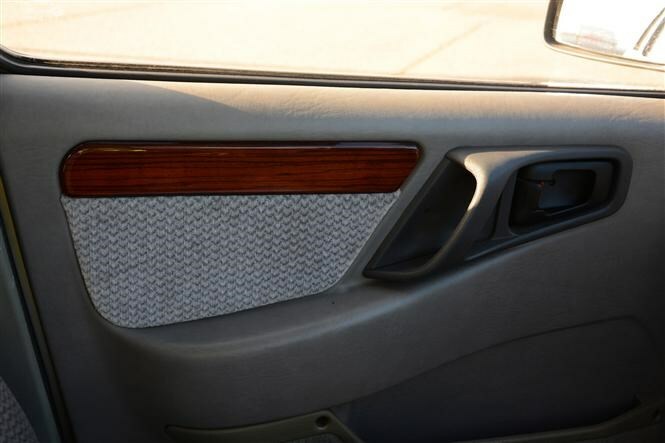 There’s a smattering of feelgood factor once you climbed aboard too, with wood veneer cappings for the dashboard and door trims – rather crudely affixed with still-visible screws. And yes, those softly-cushioned seats were trimmed in two-tone grey (and achingly 1980s) crushed velour. 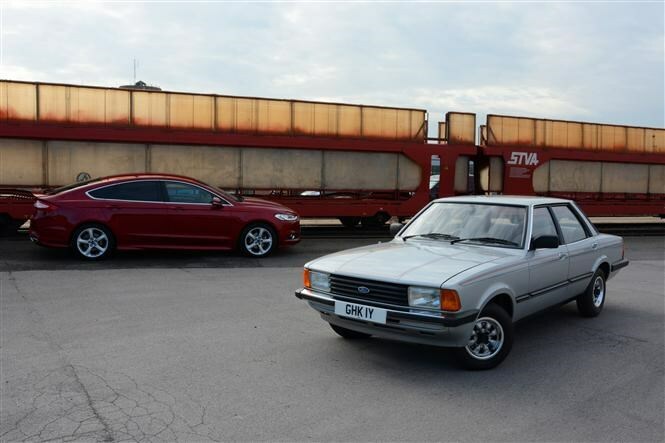 What’s surprising is how stark the Cortina Crusader conspired to feel. 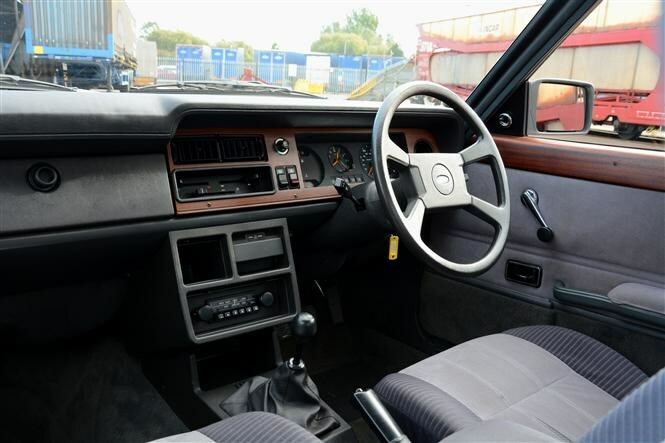 Even though niceties such electric windows and air-con had long-been invented by 1982, it still must have felt decidedly plush back then. 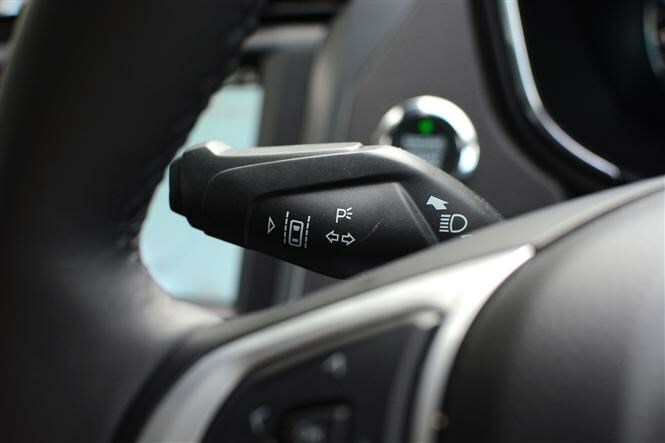 Key highlights mentioned in the contemporary brochure include the manual adjuster for the driver’s door mirror and the ‘P21’ radio – with Medium- and Long-Wave only. And that was about your lot. 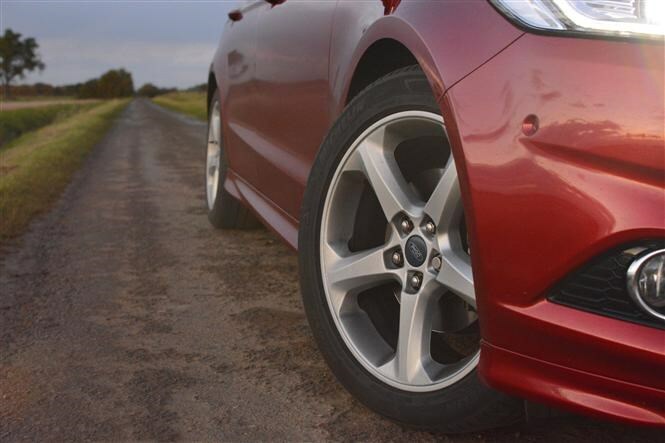 Its saving grace is how comfortable it feels, thanks to soft suspension and deeply-sidewalled tyres. Keep the Cortina in a straight line and speedbumps pose it no problem, while a high-speed cruise should prove effortless. The penalty is that its bodyroll in corners needs reining in and the non-power-assisted steering is heavy at low speeds. Power – all 75hp of it – from the 1.6-litre carburettor engine is delivered to the rear wheels via a slick-shifting four-speed manual gearbox. Sportiness isn’t a watchword here, but given the total lack of electronic stability systems, the rear end steps out of line easily with little provocation. Despite the lack of height-adjustment for the driver’s seat and a fixed-position steering wheel, the Cortina feels usefully spacious, although the four-door saloon body limited its flexibility. With no hatchback version you had to go for the estate for greater practicality. Crusader marked a fitting final fillip for the Cortina nameplate, which retired with honours after 20 years of sterling service. Following the comfortably conservative Cortina, there was something shocking about the ‘jelly-mould’ Sierra that followed. Smooth, unfettered lines, a bluff, grille-less nose and – gasp – a hatchback! The bustle-back rear end did wonders for the Sierra’s aerodynamic properties, but perhaps surprisingly, its naive approach to aerodynamics caused some stability issues. The oily bits underneath were essentially modified versions of what its predecessor the Cortina had, including the rear-wheel drive platform. The main change was a move to the Granada Mk2's rear suspension layout. Save for the sportier, coupe-esque XR4i, the 2.3 Ghia was the pinnacle of Sierradom at the start of the model’s life. In comparison with the Cortina Crusader, it is fully loaded: automatic gearbox, sunroof, electric windows, a radio (with FM!) cassette complete with an electric aerial and a torch in the key. Two things immediately strike you when you press on a little with the Sierra: primarily, some of the Cortina’s comfort’s been sacrificed for improved roadholding and balance. Lower-profile tyres on those 14-inch pepper pot alloy wheels undoubtedly have their part to play here. The second? It may have a 2.3-litre V6 under the bonnet but it’s only good for 114hp, meaning that when married up with the standard four-speed automatic gearbox, it's a bit, er, leisurely. 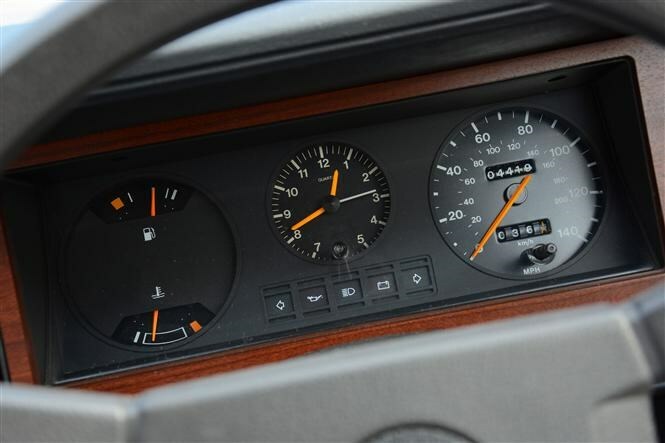 The top speed is 113mph, while the 0-60mph dash takes a yawning 11.7 seconds - not good enough for 1980s press-on merchants. 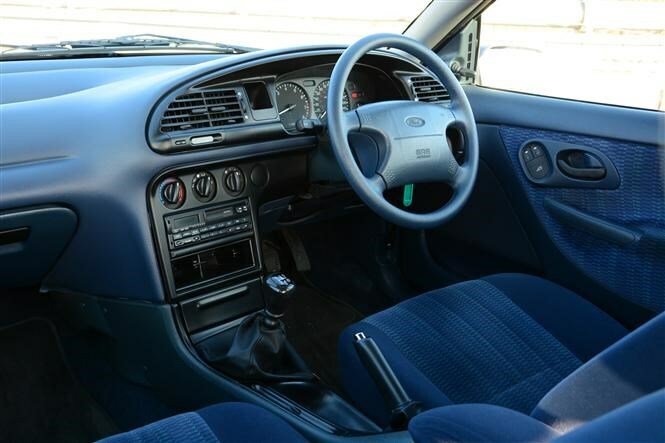 There’s sculpting to the Sierra’s seats, but they’re still flat by modern standards. They're also set a little higher than ideal for taller drivers, but a comfortable driving position is still easily obtainable. Plastic dominates the dashboard, which was angled towards the driver, much like a period BMW. 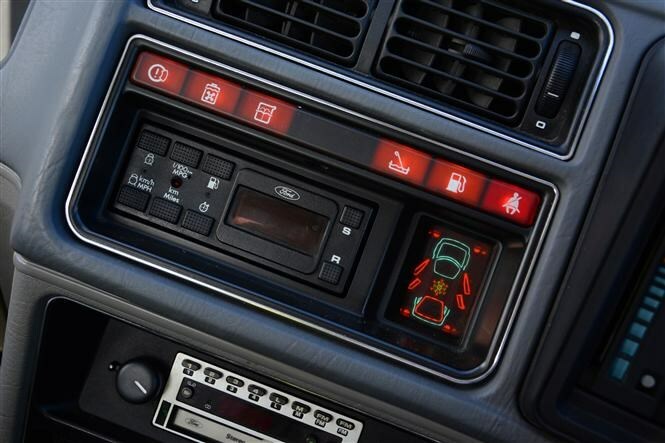 Ghia-spec Sierras also featured an additional set of warning lights (somewhat bizarrely called 'Clean Hands'), and a plan-view graphic of the car showing when doors were open (more authoritatively titled Graphic Warning Module). Despite being more than three decades old, with its modern conveniences and useful tech, the Sierra doesn’t feel that far removed from our Mondeo. 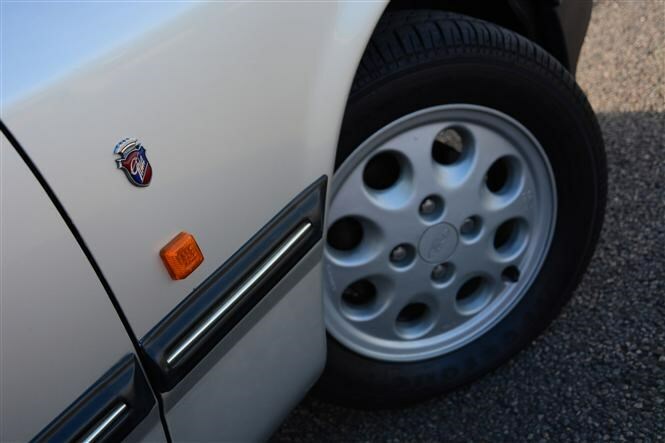 Mondeoisti will immediately spot that this 1994-vintage LX is wearing the wrong wheel trims – those spiralling faux wire-spoke numbers belong to the GLX, but those aside it’s a typical version of the best-selling model of the original range. 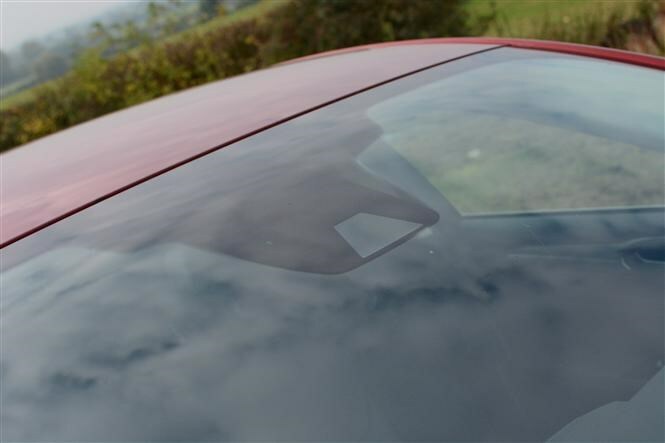 Buyers didn’t feel short-changed by plumping for a Mondeo at the lower echelons of the range, either – a driver’s airbag, power steering, an alarm and immobiliser, a tilt-and-slide glass sunroof, electric front windows and a stereo radio/cassette, no less, with RDS. One thing that’s also very apparent is that there’s much blueness, with a darker hue to complement the exterior metallic paint. 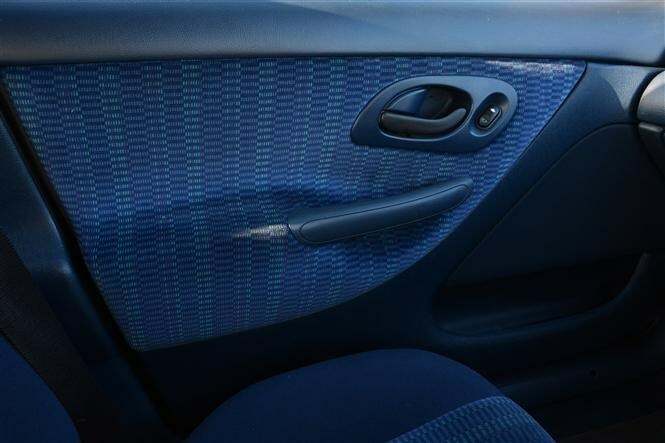 The late 1980s and early 1990s saw mainstream manufacturers reach peak colour-coordination and, you know what – and yes, maybe it does make me an old fart – I like that consumers had a choice and that it didn’t have charcoal grey or charcoal grey. That said, a blue steering wheel, though? 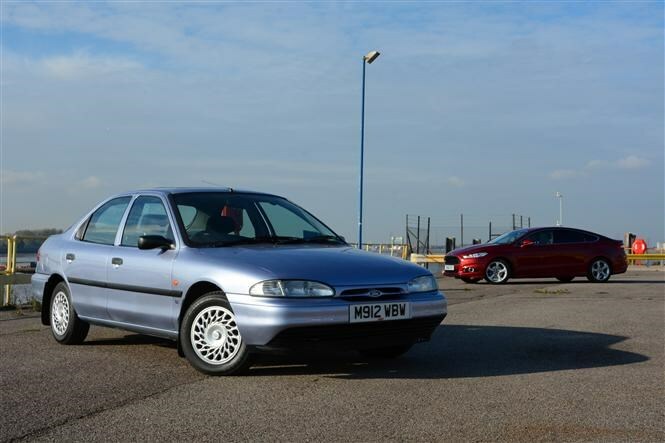 When it was launched the Mondeo was lauded for how well it drove (as to a similar degree was the Citroen Xantia, it has to be said), deftly combining the hitherto difficult-to-balance poles of comfort and excellent handling. And it wasn’t just good to drive – it was great to drive, setting new a benchmark in the family car arena. 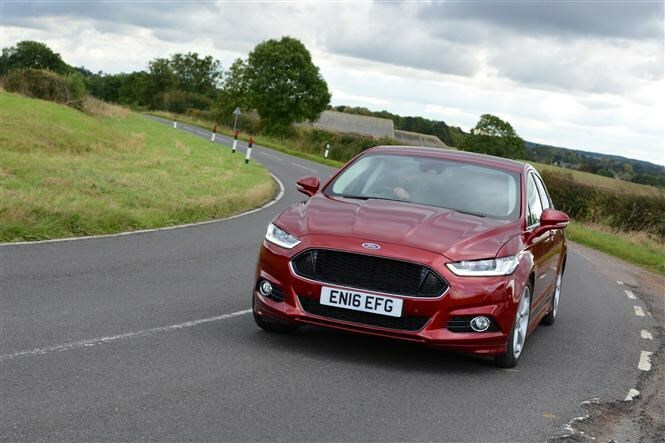 Just a few minutes behind the wheel reveals how modern the first Mondeo still feels – it wouldn’t struggle to keep up with a current model along a winding B-road, for instance. 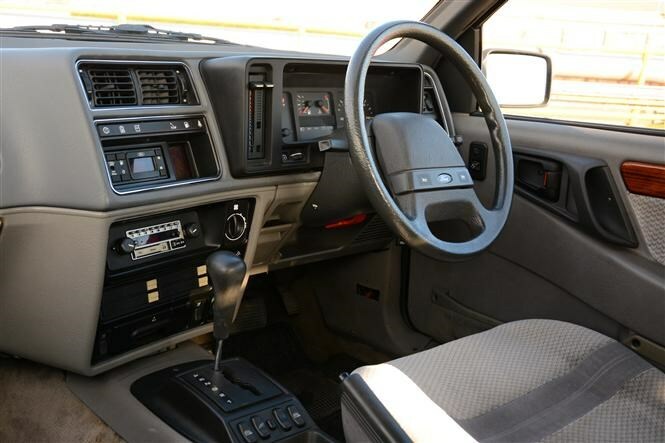 By now the underpinnings had switched to front-wheel drive (four-wheel drive was available, as it was with the Sierra), the result being a roomier cabin and a more spacious boot. At this one’s mechanical heart beats a 1.8-litre petrol engine featuring 16-valve technology (a relatively new venture for Ford at the time), as well as electronic injection, enough to produce 115hp. Top speed is an impressive 121mph, although the additional weight of the Mondeo’s weighty-but-safer structure blunted the 0-60mph time at 10.5 seconds. 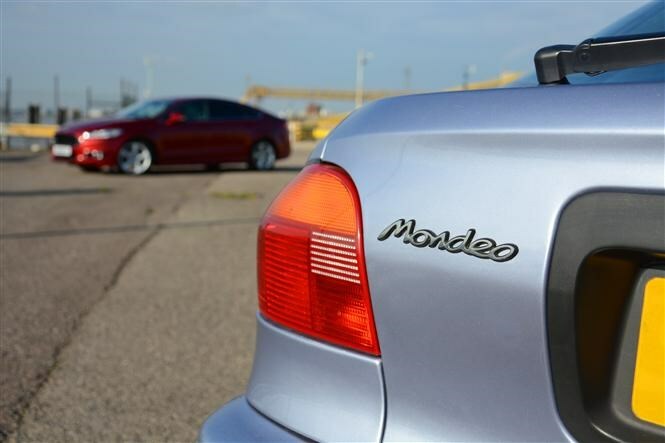 Where the first Mondeo excelled was by Ford championing a mindset that everyday cars could be extraordinary. Needing something practical for family life yet be fun to drive were no longer mutually exclusive. What’s most striking about my Essex escapade in Fordsville is that when the company’s contemporary large family car is driven in quick succession after its more recent editions from its ancestral line, there’s a definite sense of place, as though a mechanical DNA had been transferred across the generations but each had its own distinctiveness. Sure, today’s Mondeo is more refined, safer, plusher, roomier and laden with technology that was barely imaginable a decade ago, let alone back when the last Cortina rolled off the line, but those positive hallmarks of comfort, usability and a sense of normal-guy-doing-well-for-himself remain ever-present. It’s taken a while for it to come to the fore, but our long-term Ford’s primary strength is apparent to all who nestle in behind the wheel: comfort. Who’d have thought that the humble Mondeo would have shone brightly as a beacon of waftability? In truth, all the signs were there in plain sight all the time, not least the aspect of the Ford that’s hardest to ignore. It’s a big car. Not just big big, but biiiiig. That’s right, at least five ‘i’s big. That enormity not only bestows it with a palatial cabin with plenty of leg and elbow room – admittedly it’s a bit tight for taller passengers in the rear with that tapering roofline – but a long wheelbase too, a trait that traditionally gives cars a more compliant, settled ride quality. There’s no adaptive suspension available for the Mondeo in Britain, but the standard springs’ compliance is clearly tuned to be cosseting and proves Ford hasn’t forgotten how to produce a comfortable car alongside its sportier ST and RS models further down the Blue Oval hierarchy. Over rough or especially undulating surfaces, the Mondeo maintains its composure for the vast majority of the time, occasionally becoming light and floaty in a manner which felt akin to my old Citroens with their hydropneumatic suspension. Just make sure your kids have had their Kwells before they go on a long B-road jaunt to stymie any prospect of Technicolor yawns mid-journey. 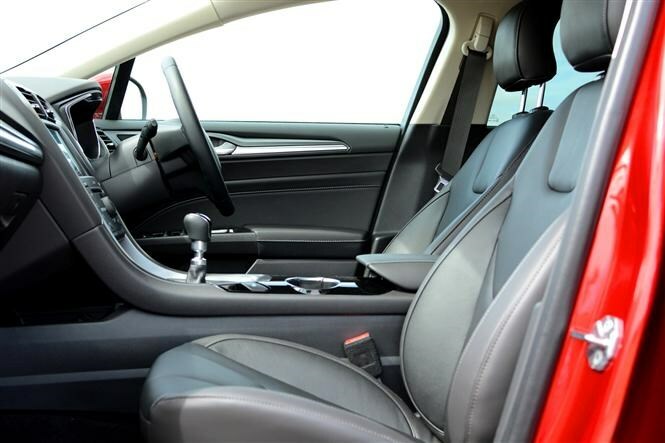 Up front are a pair of excellent, leather-swathed seats. Electrical adjustment for height, fore/aft movement, backrest angle and lumbar adjustment allow near millimetre degrees of control to deliver both comfort and support – even a short journey makes you question why the chairs in your lounge aren’t as welcoming. I’d happily have one rigged up as my new armchair. 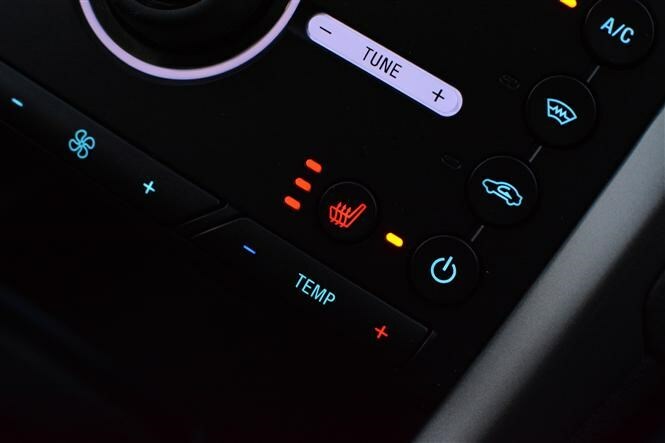 They’re heated too and complement the standard dual-zone climate control – one of the most effective you’ll find in a large mainstream car – perfectly. Few in-car pleasures satisfy on the early-morning commute like a 16-degree breeze on your face while your other cheeks are being toasted on heat setting three. 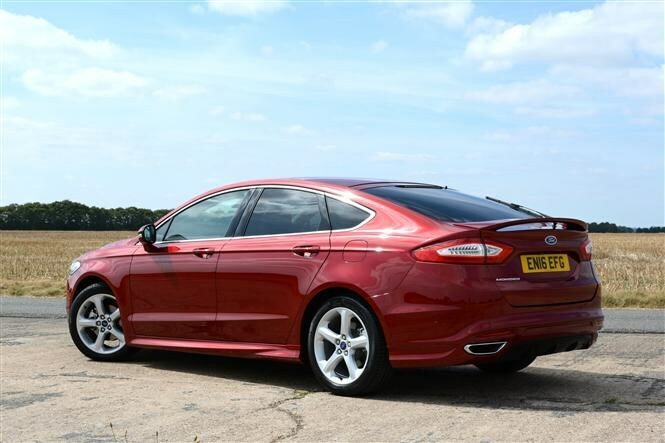 Whether it’s the 76-mile commute betwixt office and home or an early morning slog down to Heathrow from rural north Lincolnshire, given the choice of any of the long-termers currently in the Parkers garage, it’s the Mondeo that would be my preferred choice. This capable cruiser and I have reached an understanding, it seems. As car manufacturers push autonomous driving technology with a view to selling self-piloting cars from 2020, there’s a constant drip-feed of developing know-how through the automotive food chain. For the car-buying public that means mainstream motors like our Ford Mondeo are bristling with cameras, sensors and ‘assistance aids’. 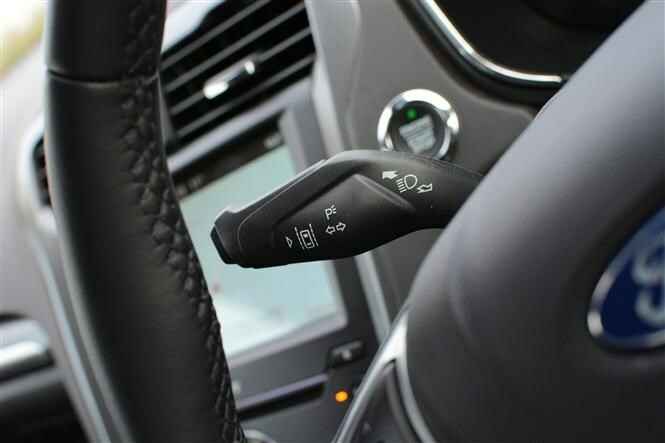 One element of the Mondeo’s electronic arsenal is its Lane Keeping Aid, a feature that we’ve experienced on many cars. 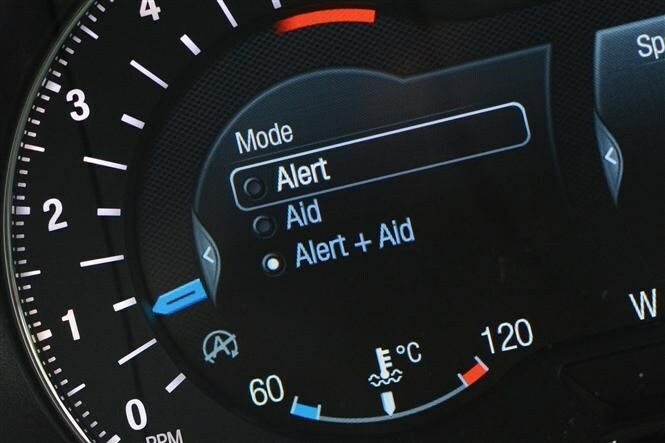 Aids and assists differ from Lane Departure Warning systems in that they go beyond simply warning the driver they’ve wandered across a white line without indicating, by providing a degree of steering input to help keep the car neatly in its lane. 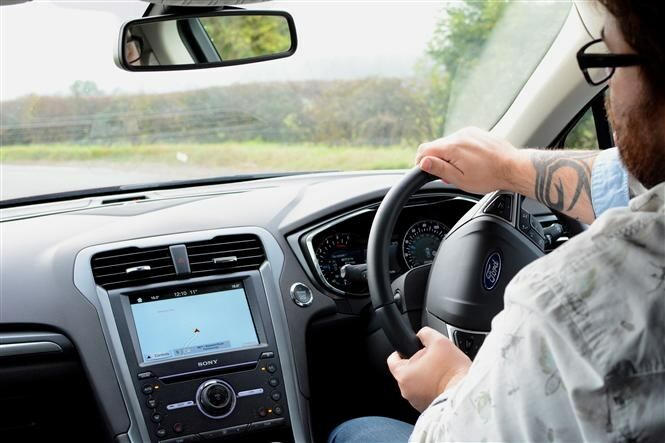 In most other cars this manifests itself by the steering suddenly feeling heavier – as you cross the line the wheel tries to resist being straightened as it endeavours to get you back where you should be, but in the Mondeo it’s different and it’s causing a little consternation with some of the team. 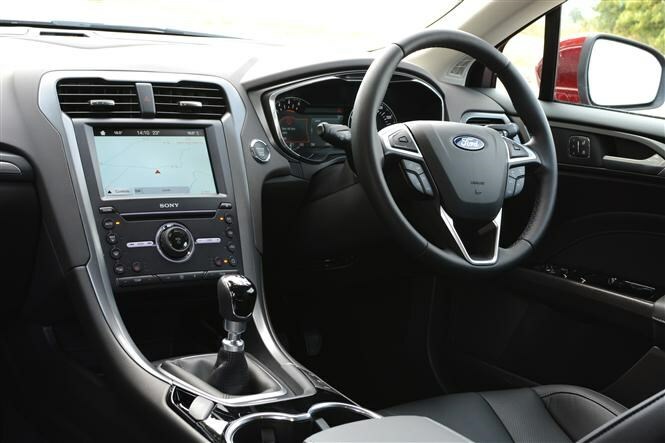 Instead of firming up, the Mondeo’s steering lightens dramatically as you traverse the white lane markers, feeling momentarily devoid of any feel whatsoever as torque is applied electrically to the steering. It’s accompanied by a vibration through the rim of the wheel, the intensity of which can be varied or switched off depending on your preference. 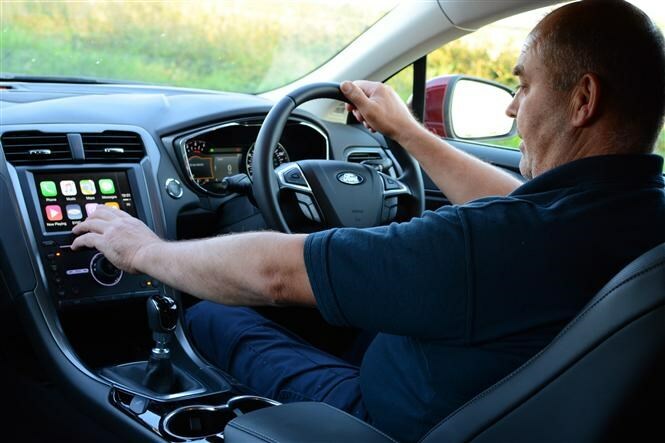 While I prefer the systems that firm up, I’ve quickly become accustomed to the Mondeo’s way of working – if anything it does its job effectively because you’re more inclined to minimise any lane-wandering instances to avoid that lightness of touch. Of course, you could turn the system completely off but that somewhat defeats the object of having the assistance there in the first place. Just over 3,000 miles in, persistence breeds familiarisation with it. I remember seeing my first Ford Mondeo on the road back in early 1993. As a geeky car nerd, it immediately looked conspicuous as it drove past RAF Waddington where the AVRO Vulcan was making its final in-service take-off – not because it was a styling revolution, but because it immediately made the once avant garde Sierra look disappointingly passé. Such is the passage of time that 23 years later those Mk1 Mondeos are almost as lesser-spotted a sight as the Vulcan, with the Ford still much more likely to capture my attention than the V-bomber. Rightly, the first Mondeo was launched to much acclaim – not only was it a car designed for the world rather than specific continent-specific markets (the name itself is derived from monde meaning “world” in many languages), but it also marked the beginning of an era where people chose to buy Fords because they were great to drive. While the publicity material at the time of the Mondeo’s debut suggested that triple F1 world champion Sir Jackie Stewart had had a hand in the Ford’s driving dynamics, the real genius behind the project was Richard Parry-Jones. He was the engineering guru that ensured the first Mondeo was a delight to steer, brake and accelerate, setting a template for future Mondeo project heads to follow. So what of the latest iteration of Ford’s family car range? Disappointingly, it seems with the fifth-generation Mondeo that its USP has been lost. It’s by no means bad to drive, but such has been the rate of development with rival products – Volkswagen Passat, we’re looking at you – that the Mondeo’s now merely among the best, not the best. Perhaps some of the reason could be because the Mondeo’s now essentially an American model with European-specific developments (you can’t buy the hatchback or estate Stateside) rather than vice versa. There’s only so much different suspension settings can achieve in terms of making something feel sporty. 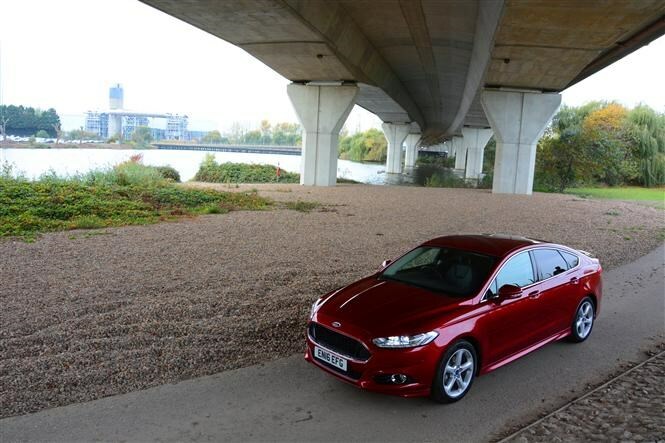 Comfort is the Mondeo’s watchword now and this it does with aplomb on motorways. 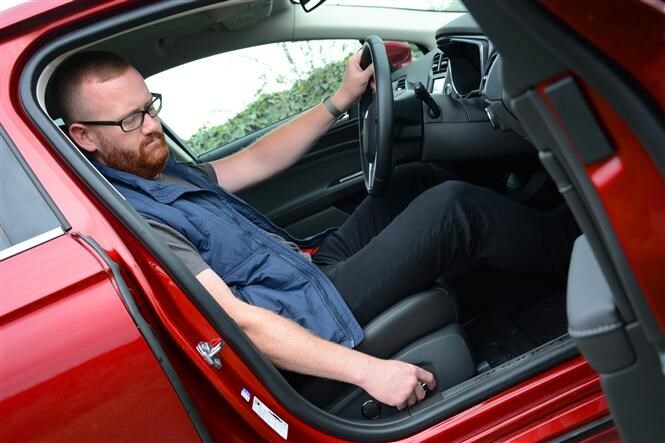 Supple and relaxed, you get out at the other end feeling fatigue-free – seeing as most will be on company car duty plying Britain’s major arterial routes, this is no bad thing in reality. 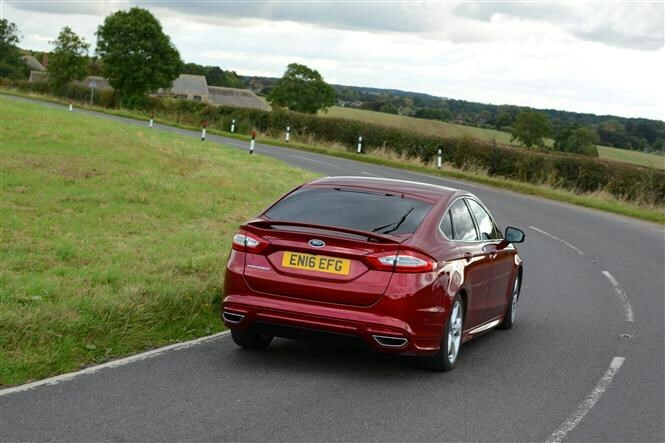 Switch to a windier B-road and things are less satisfying, especially over undulating surfaces where the Mondeo tends to feel like it’s pitching and diving, losing body control in the process. Strangely, this doesn’t appear to be as acute with regards to bodyroll while cornering, the Ford maintaining its composure and remaining reasonably level. 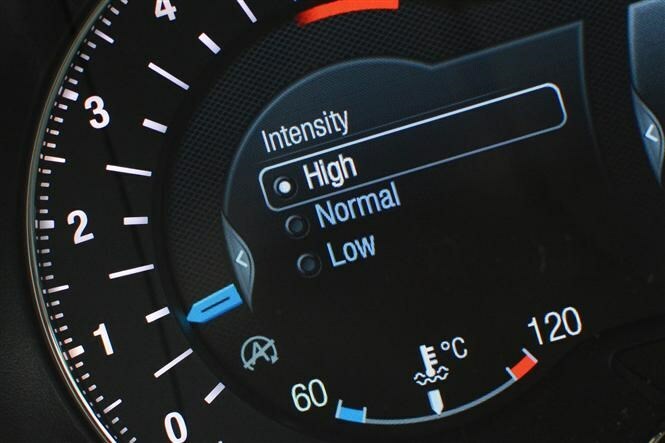 And that’s not simply because you’re holding the wheel lightly while your senses try to decipher whether it’s leather or plastic enveloping the rim – according to the sales literature it’s natural…. The sensation’s even worse when the lane-keeping aid interjects with its over-assistance, but we’ll report on that separately. 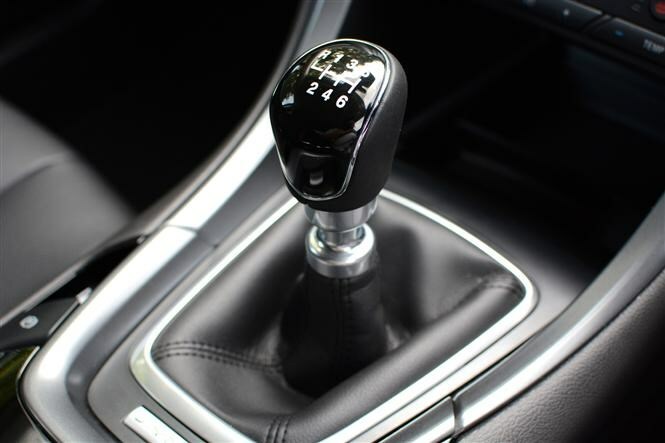 Despite having 180hp from its 2.0-litre TDCi engine on tap, performance lacks lustre too, often requiring plenty of to-ing and fro-ing of the six-speed manual gearbox. It’s a slick enough gearchange but you hardly feel like you’re grabbing the Mondeo by the scruff of the neck and extracting some extra urgency from the package. In all honesty, the PowerShift automatic’s laid-back nature would suit the contemporary Mondeo better. Perhaps I’ve come at the new Mondeo with expectations affected by my rose-tinted glasses view of Fords of yesteryear. The fact is, it’s not bad at all – and its loss of sporty dynamics won’t matter a jot to many a would-be buyer. Ultimately, I am starting to bond with the Ford, especially its ability to make light work of motorway driving. 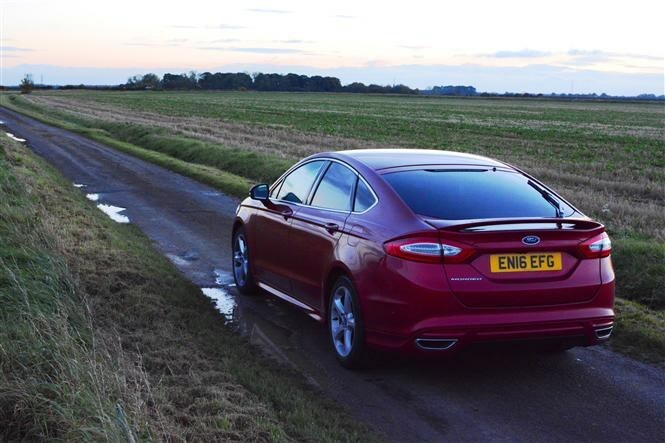 A long journey in the Mondeo is as reassuringly comfortable as getting home from work and donning a pair of joggers and a hoodie. That’s a good thing, right? 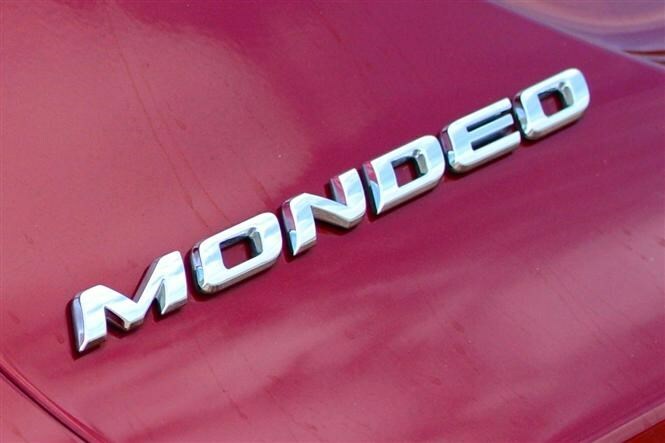 Mondeo. The mere utterance of the family-friendly Ford’s name was once enough to generate a knowing nod of appreciation from a car-savvy colleague who’d brushed-up on their knowledge about which motors were good to drive. Yet when people ask me about the fifth-generation long-term Mondeo I’m running, rather than question how good its back-road agility and its apex-clipping nimbleness are, they’re more interested in the colour-changing ambient lights. 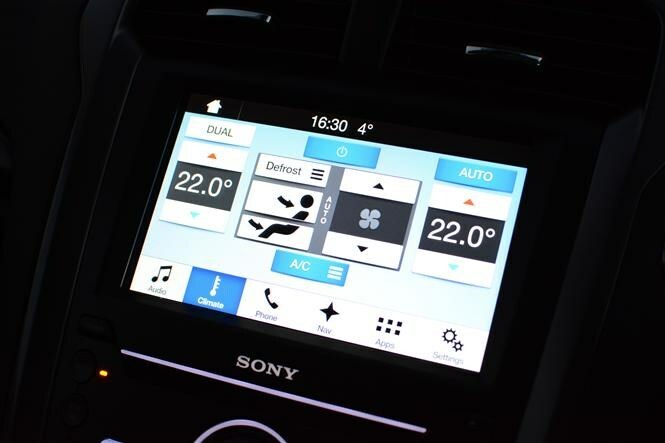 I entirely blame myself for mentioning it on social media when I first started playing with the car, plastering Facebook with pictures of the Sync3 menu where the colours can be switched around. In case you missed it – I’m not, after all, FB friends with all of you – there are seven hue choices for the LEDs beaming soft glows into the footwells, door bins and that open-sided storage area at the bottom of the centre console; I’m still trying to fathom out what fits best into it. Clearly the Blue Oval has decided you can’t have enough, err… blue, yet the orange and red look remarkably similar in the night-time cabin, so prepare for disappointment if you hoped for something more distinctly tangerine and crimson. That green’s a waste of time, reminiscent of a sun-bleached Kermit rather than the verdant land that would incite Tom Jones to warm up his larynx. Meanwhile the purple is akin to the neon glow of an early 1990s nightclub you’d rather forget you’d ever been in. Conspicuous by their absence – maybe Ford is waiting for the Mondeo’s facelift to introduce them – are yellow (no I wouldn’t, but why is it not there?) and your all-time classic – white. Thankfully there’s no MINIesque function to allow the colours to cycle through on rotation so presumably the gist is to pick one that suits your prevailing mood(s). Me? I like things “just so”, which inevitably means there’s only one choice – ice blue. By being the closest shade to the pale turquoise employed for the switchgear backlighting it becomes my default selection. Next time I’ll focus on something more important – like how the big Ford actually drives. 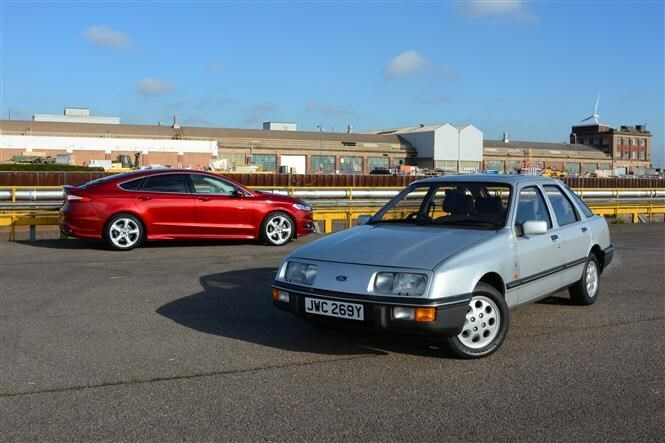 My personal car history has only included one large Ford before I got my hands on the Mondeo – a red Sierra 1.8 LX no less, bought for £500 from a friend who used it for his decorating business. Amazingly, considering how many unlidded tins of paint he had crammed into the boot, the only evidence of his trade upon the car was a splodge of brilliant white gloss on the rear bumper, which I soon teased off. 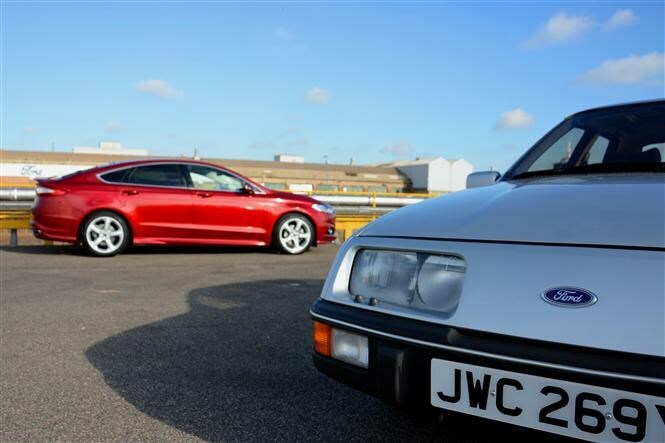 With no Mondeo reference to fall back upon, I commandeered a couple of friends who’ve driven different versions of the big Ford’s predecessor to get their take on the latest car. “Well, it’s instantly recognisable as a Mondeo, isn’t it? I’m not sure whether that’s a good thing or not because there was more difference between the previous shapes. 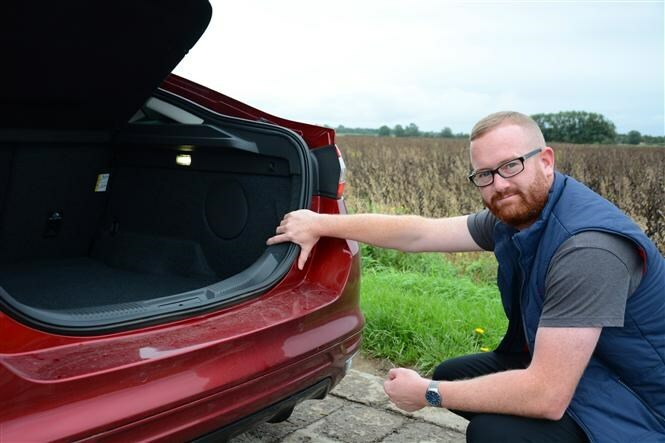 It looks sleek and practical – you can tell the boot’s going to be enormous from the outside. “What I’m not keen on is this sporty look with the spoilers and whatnot. It’s not a sporty car, yet it looks like it’s trying to be. I’d save my money and not bother. “If I’m honest, it’s the same with the fancy LED headlights. 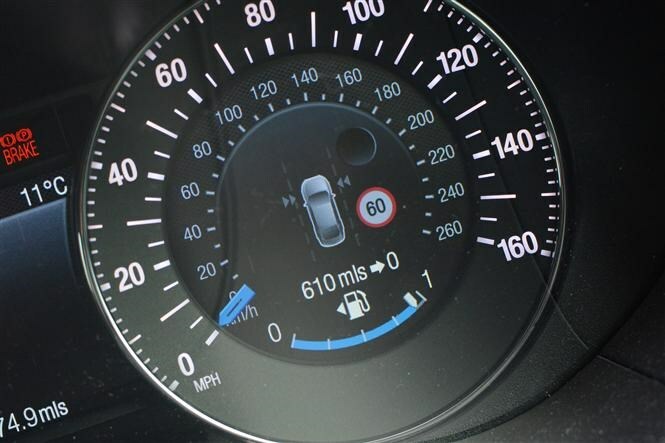 I’ve driven for years with halogen bulbs and never thought ‘I wish they were a bit brighter.’ I can see how the cornering aspect works well but those scrolling indicators do nothing for me – what’s the point? “When you’re inside it feels roomier than my Mk III Mondeo [2000-07] and I’m sure it’d make a great family car. This one feels luxurious compared with mine and it feels really comfy on the road – again, not sporty at all so why the bodykit? “There’s loads of boot space although the tailgate itself is heavy. If you weren’t especially tall or strong you’d struggle to pull it closed again. “I tell you what I really like about it – this Apple CarPlay thing. How easy to use is that? So much simpler than trying to figure out how to connect your phone through Bluetooth. 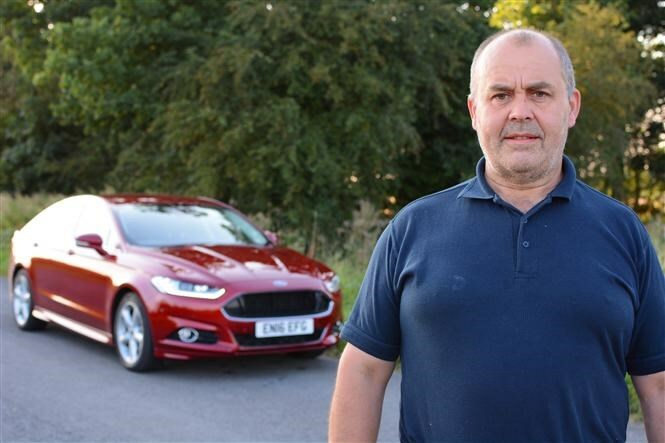 “I loved my Mk IV Mondeo [2007-14] so I was hoping for great things with this one, but I have to be honest, I’ve come away disappointed. “Styling-wise I like the front end, it looks aggressive and purposeful, but the rear end looks, well, sad – a bit like a Mercedes CLS. There’s a weird visual effect with the wheels looking too small for the car too. I wouldn’t have guessed they were 18-inchers. “I doubt I’d pay the extra for the LED lights, either. I’m sure they’re lovely and bright at night but I’m not a fan of those pulsating indicators –they’re not as noticeable on other cars in my peripheral vision. “That bodykit I’m not keen on as I don’t think it adds much to the car, but I’d prefer the outside to have more chrome detailing overall. It doesn’t look expensive enough for a Titanium X Pack. “When you pop open the tailgate the space itself seems impressive but the rest of it’s a let-down. Access is quite poor as the base of the opening is both narrow and curved making it awkward to load in wide, heavy items. It also feels a bit cheap in there – the way the carpet pops up when you fold over the rear seats reinforces that perception. 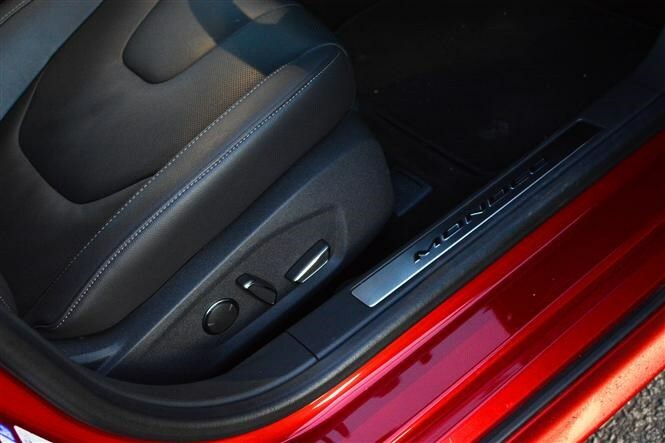 “What’s more curious is that for what’s clearly a big car the interior doesn’t feel all that spacious. I’d go as far as saying that when I sit in the back it feels claustrophobic as my head touches the roof-lining. “Up front it’s roomier but my natural seating position means my legs splay a bit and in the Mondeo, bash against the centre console. I’ve been looking at this open storage area there and can’t figure out what it’s for – doesn’t stuff you put in it fly out when you’re cornering? The memory function for the electric seats would be really useful for me as my fiancee and dad occasionally drive my car and it’s a pain having to get the seat back exactly how I had it. 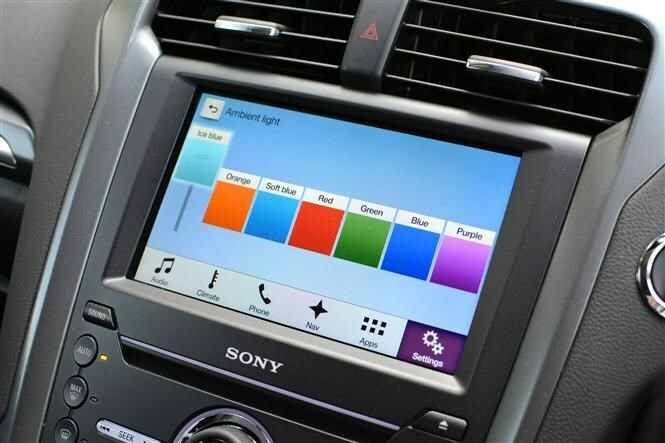 “I was hoping that the Android Auto function would be a huge step forward compared with what I’m used to but despite trying several times the Sync3 system refused to talk to my HTC handset. That could be my phone’s fault, though. Over the next few weeks I’ll be spending more time with the Mondeo seeing which of its traits begin to shine and what aspects start to grate. I’ve become the archetypal core voter of Tony Blair’s mid-nineties New Labour movement with my new long-termer: yes, I am Mondeo Man. Although I guess in today’s political landscape, party leaders would be better off wooing Crossover Chloe, but we’ll keep it to cars here. Where in the Mondeo pecking order does ours sit? 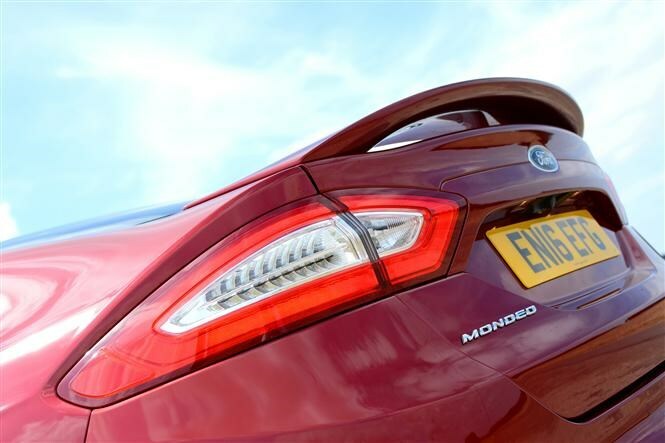 You’ll notice immediately that it’s the ubiquitous five-door hatchback version, the most popular in the range, in one-down-from-flagship-specification Titanium guise with the optional X Pack – the most expensive Mondeos are the more exclusive Vignale versions. 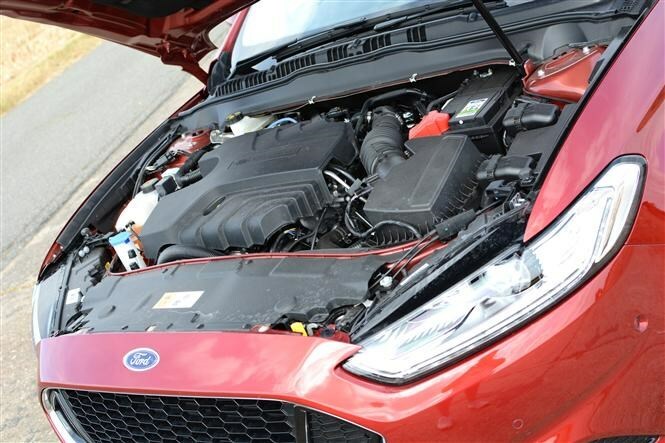 As it’s the kind of car that will mostly be found plying motorways, a diesel engine makes the most sense, and this one’s fitted with a 180hp version of Ford’s 2.0-litre TDCi unit. 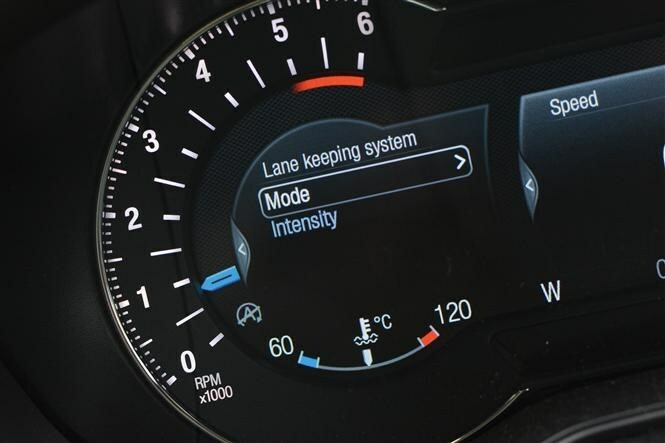 With 400Nm of torque on tap the Mondeo can dispatch the 0-62mph acceleration test in a swift 8.3 seconds before reaching a top speed of 140mph. First impressions are that it feels brisk rather than fast. 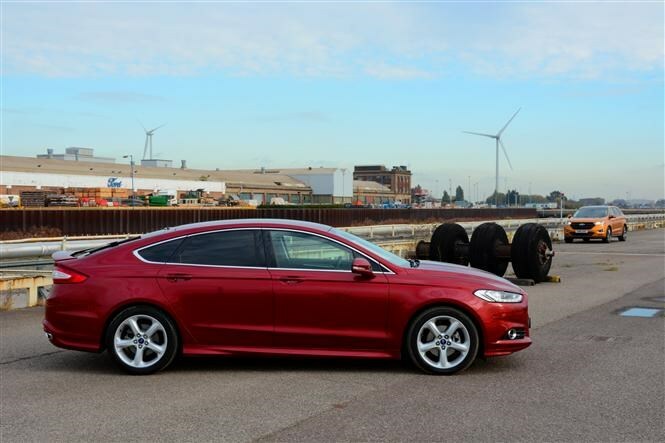 Efficiency’s the real name of the game with diesels though, and Ford claims the Mondeo will achieve an average of 64.2mpg in this format. We’ll be keeping an eye on how fuel miserly it proves to be, but so far it’s delivering 44.6mpg according to the trip computer. 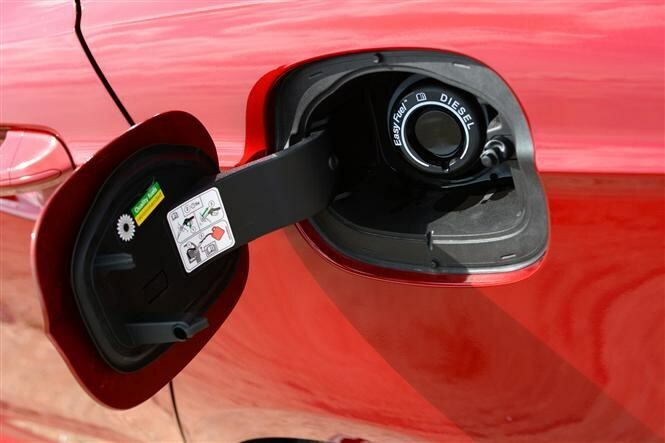 Emissions are rated at just 115g/km, placing it in VED car tax band C, meaning a free first year and £30 annually thereafter at 2016/17 rates. Company car drivers will be more interested in benefit-in-kind (BIK) costs: our model falls into the 23 percent band, costing a 20 percent tax payer £105 every month. Transmission-wise it’s the standard six-speed manual with front-wheel drive – PowerShift automatic and four-wheel drive versions are also available – for a basic cost of £26,245 including the X Pack, although ours is garnished with a few extras that nudge the price up further. That X Pack suffix on Titanium trim is essentially a £2,000 option bundle comprising of black leather upholstery, 10-way electrical adjustment and heating for the front seats (with a memory function for the driver), rear privacy glass and full LED headlamps with automatic main beam and Audi-esque scrolling front indicators – those lights can also be specced as an individual option for £1,050. Fancy that lustrous Ruby Red paintwork? 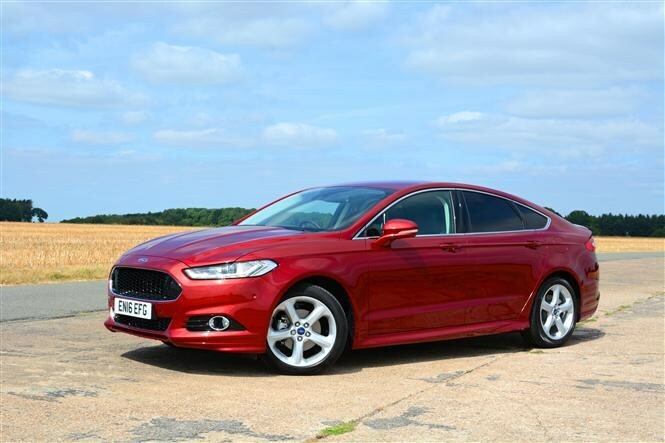 It does look rich and suits the Mondeo well, but as it’s from Ford’s Exclusive palette it’ll cost you an extra £825. You’ll have also noticed this one looks a bit sportier than most Mondeos, courtesy of a £750 body kit. For that you get lower extensions on the bumpers, beefier sills and the gloss black honeycomb grille in lieu of the chrome-look horizontal vanes. Oddly, the tailgate spoiler’s not included, so be prepared to shell out a further £250 for that. Sporty looks on a non-sporty car have never been my cup of tea – I remember as a kid on my way to school I used to pass a Sierra 1.6 L with a full RS makeover and was baffled by it then. But clearly there’s a market for it as Ford’s recently introduced the purposefully pumped-up (visually, at least) Mondeo ST-Line. Here’s my advice; go for that rather than spending an extra grand on body kit and spoiler. 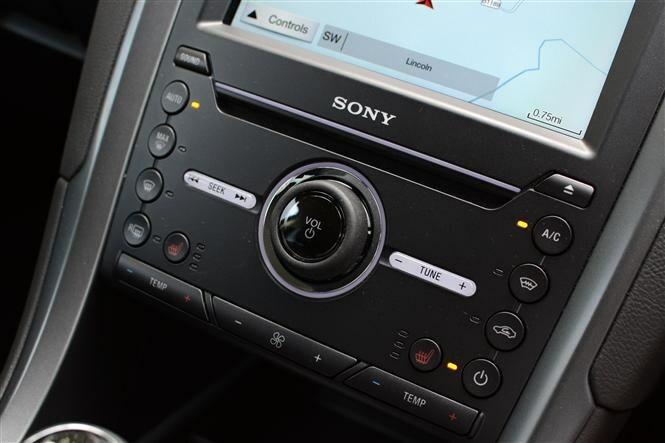 Other than that, there’s an upgraded Sony audio system with 12 speakers, which sounds great and is easier than ever to use with Ford’s latest Sync3 multimedia system (more on that in future updates). It’s decent value at £490, while a comparative bargain at just £150 is the self-parking feature – it’s remarkable how inexpensive these systems have become. All that ramps the asking price up to £28,710 – over the next three months we’ll be deciding whether or not it’s worth it.